Aerowaves Spring Forward festival is a very packed weekend of pan-European contemporary dance, hosted by a different city each year. Last year I was part of the writing team in Umeå, Sweden. 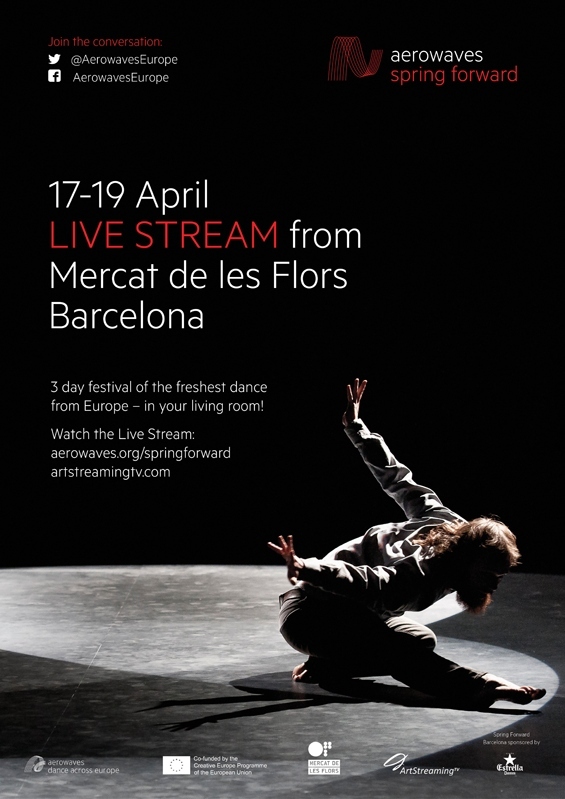 This year, 17-19 April 2015, I’ll be on the team in Barcelona, where the festival is being hosted by the lovely Mercat de les Flors. The writing stuff is again part of what they call Spring Back Academy. Along with Donald Hutera (UK), Oonagh Duckworth (Belgium) and Omar Khan (Madrid), I’ll be writing flash reviews over the festival, and mentoring aspiring dance writers. I’ll post my own reviews online when I’m back in the UK, but in the meantime you’ll be able to catch all the reviews here. If you want to watch rather than (or as well as) read – then you can goggle at the performances as they happen via the Aerowaves live stream here. Apparently this is called “real time”. But it’s not real space. But you get the picture. Other stuff you can do if you are a social media bunny: follow, comment or opine online at aerowaves-springforward.org, or on Twitter (@AerowavesEurope, #springback). Oh, and coz I’m feeling nostalgic, here my 2 fave pics from last year. Ha! “Nobody puts Baby in a corner” – the classic line from Dirty Dancing, on, erm, a church. 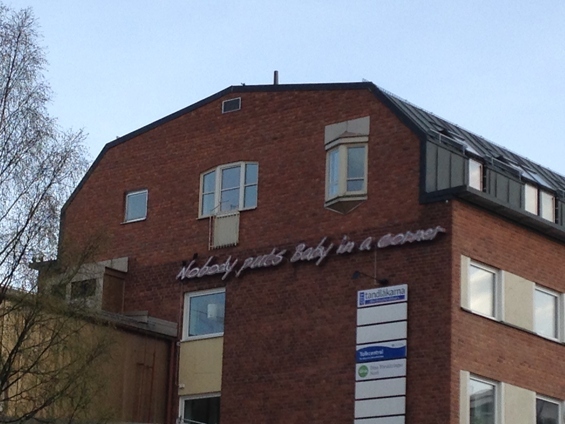 In Umeå, Sweden. Little angels? 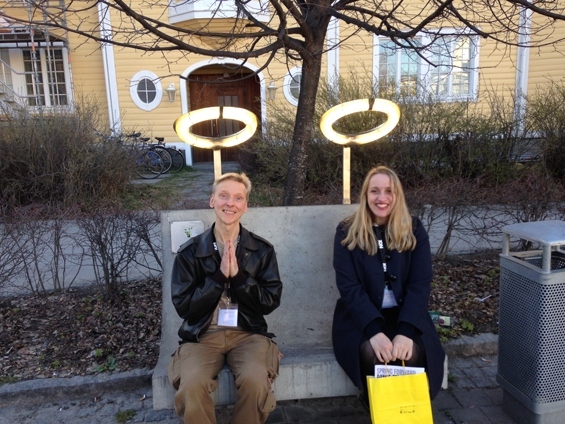 Fellow Spring Back writers Donald Hutera and Sally Marie in Umeå, Sweden, April 2014. 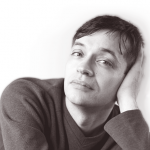 Dance writing is hard – and much more so in your second language.